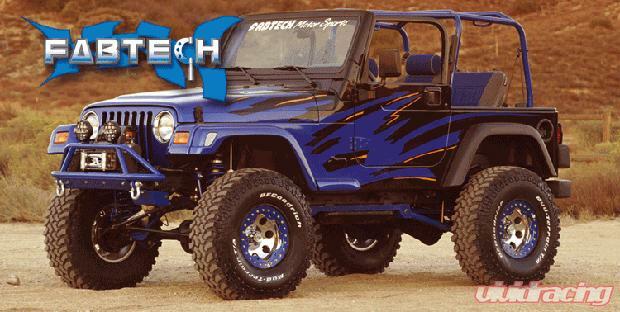 Fabtech's TJ Long Arm systems redefines what a heavy duty articulating Jeep system should be. They have eliminated using the stock link pockets all together so that the upper and lower link can function on the same equal plane. Combine this equal plane geometry with extended length link arms and our rotational urethane pivot joints and you have a TJ system that will climb, crawl and walk over just about anything you put in front of it. The extended length link arms mount to a massive one piece welded transfer case crossmember that utilize the stock transfer case skid plate. 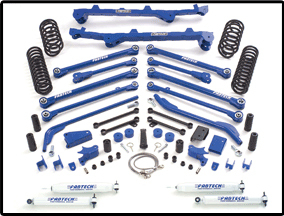 Other features include adjustable front and rear Trac Bars, shock mount relocation brackets, pitman arm, oversized sway bar quick disconnect links, brake hoses and performance coil springs. The 6" system will allow use of 35/1250/R15 tires on 15 x 8 wheels. 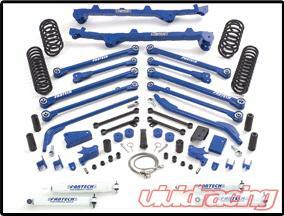 - Requires fixed yoke (use FTS94004) & CV Driveshaft (use FTS94005) for non Rubicon models. - Rubicon models require CV driveshaft FTS94019. - May require exhaust modification. Due to the high weight of this Kit, product must ship via truck freight. Please add item to cart for shipping cost or contact us for a quote. 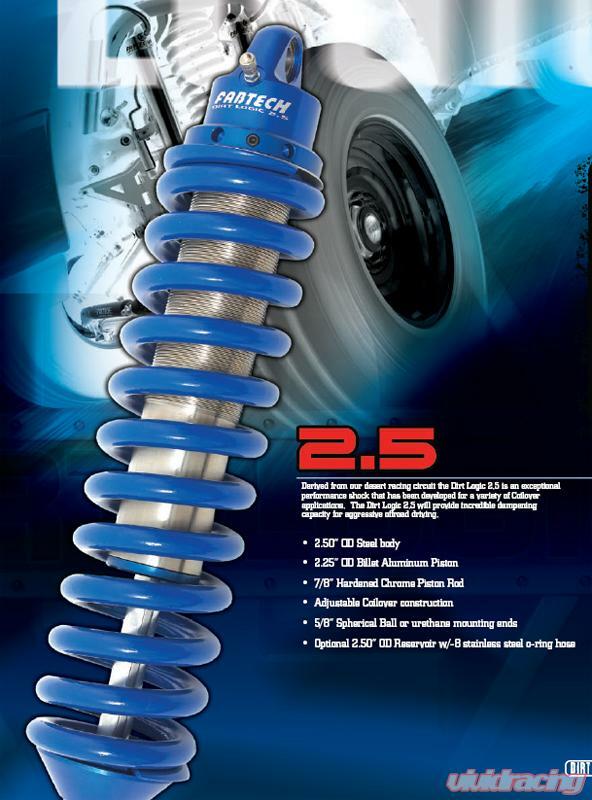 Fabtechs development capabilities are second to none with over 20 years of experience in aftermarket suspension design. State of the art software, fabrication equipment along with their seasoned engineers and fabricators allow the company to develop products that are constantly on the cutting edge. Fabtech has received numerous awards for designs that continue to lead the market. To ensure product quality, Fabtech builds all of its componentry in house. The manufacturing division is a world class lean environment dedicated to consistently producing quality parts in low or high volume production runs. Multiple laser cutters, robotic welders, forming equipment, machining centers and skilled welders provide flexibility and quality to its production.